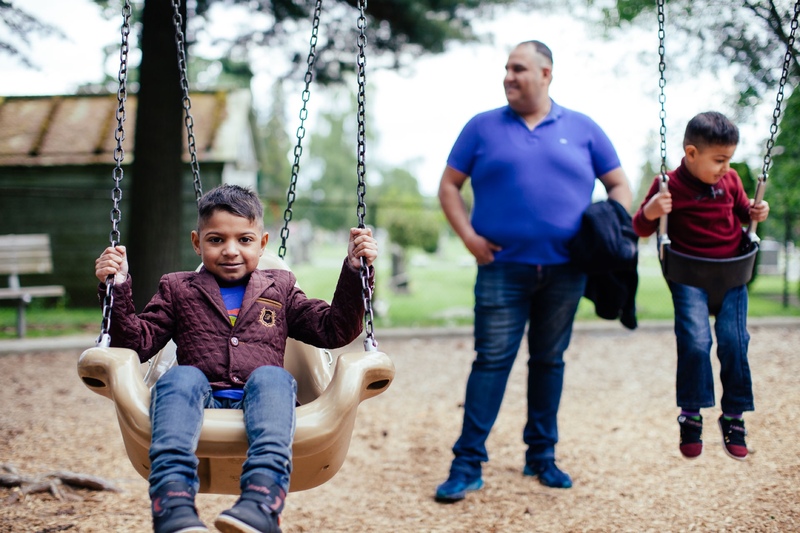 This spring we met Ali and his family, newly arrived as refugees from Iraq, fleeing death threats and searching desperately for lifesaving medical care for little Zaid. We were honored to work with the International Rescue Committee to help tell their story. Our thanks to the IRC and the Saadawi family, our new neighbors and friends. In the middle of the night, in the January rain, Ali Saadawi, his wife Dhilal and their two sons raced in an ambulance from SeaTac airport to a team of waiting doctors at Seattle Children’s Hospital. 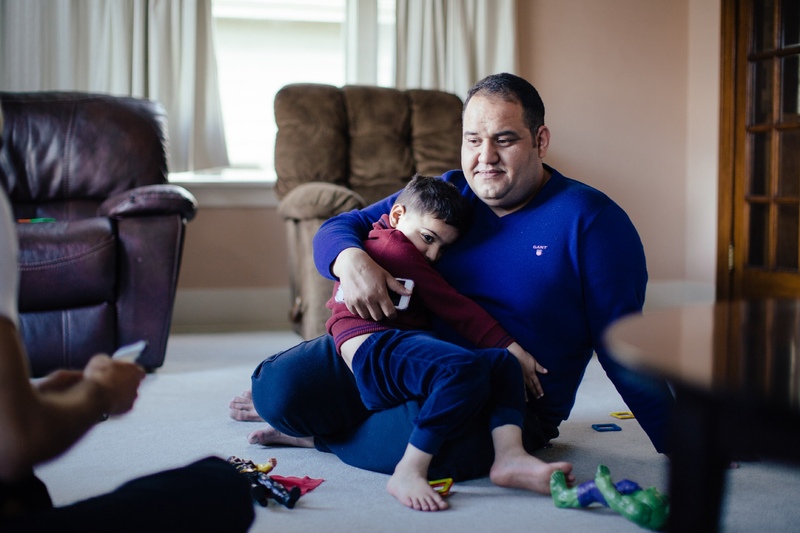 Fleeing the threat of death at the hands of Islamist extremists and battling time to save the life of his gravely ill seven-year-old son Zaid, Ali had spent the last two and a half years pleading for a chance to leave Iraq, to exchange home for safety. Two days later, while the blood of his son cycled out of his body, through a nest of plastic dialysis tubes and blinking electronics, and back to his heart, pure and clean, Ali watched the hospital television as President Trump signed the order that would block all refugees coming from Iraq. Ali could tell something was off with Zaid; something in his body was not working. At age three, the boy so full of energy and life had slowed, stopped eating and seemed to need sleep all the time. As a career nurse Ali was accustomed to monitoring symptoms, but when the doctors in their hometown of Nasiriyah in southern Iraq, diagnosed Zaid with vesicoureteral reflux (VUR) Ali knew the journey would be a long one. The disorder, where urine flows backwards from the bladder to the kidneys instead of the other way around, can cause kidney failure. In Zaid’s case that failure was complete, literally “end stage”. When your kidneys don’t work you have one of two options, dialysis, where you’re connected regularly to a machine that pulls blood out of the body, cleans it, and puts it back in, or find new kidneys. 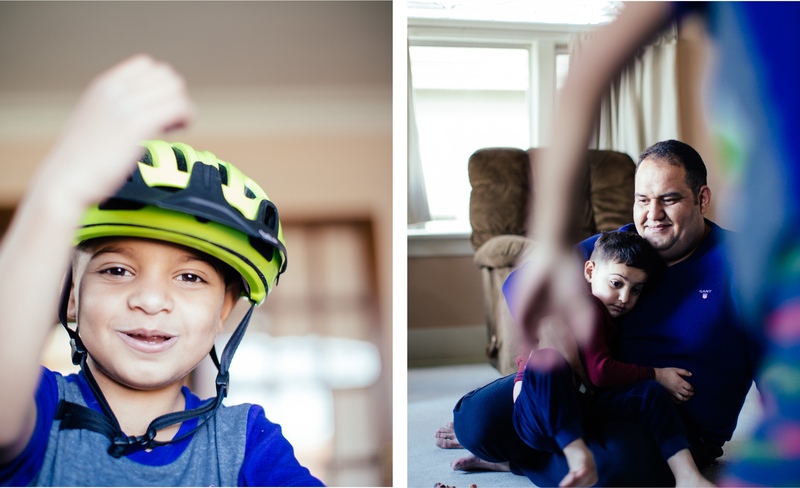 With a transplant impossible in Iraq, Zaid’s doctor arranged for him to begin dialysis. And Ali began searching for a way out of the country. It wasn’t the first time Ali had considered leaving. The work of his father, Abdulsalam, who had assisted the US Army Corps of Engineers in Nasiriyah, had put a mark on the family. 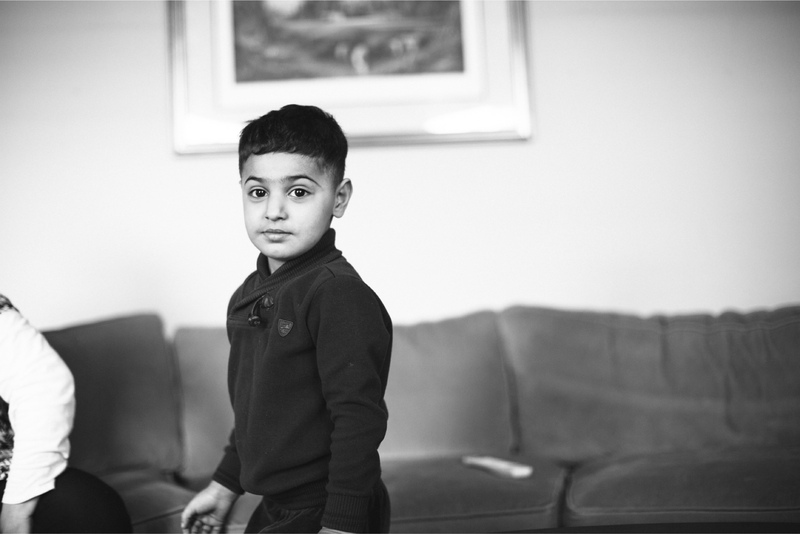 Abdulsalam, had already fled to Seattle, fearing for his safety in Iraq. One day Ali opened a text message from an unknown number, “Leave or we will kill you and your family”, it read, a threat from the local Islamist militia. Ali moved the family to a new part of town and prayed. 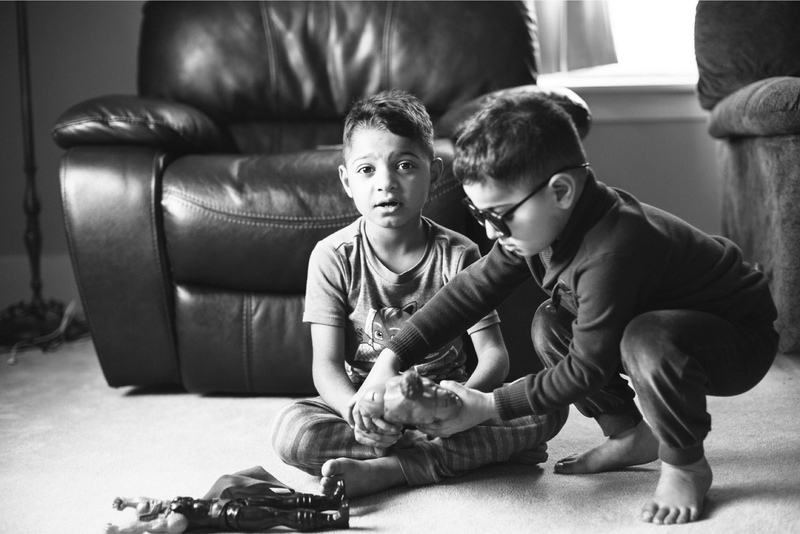 While the whole family was under very literal threat, Zaid faced his own, more certain crisis. “Dialysis in Iraq,” Ali tells me, “means Zaid is waiting for death.” I ask him how he knows this and he describes his son sitting in a filthy hospital room. Dirty floors, someone else’s blood on the bed, complete lack of anesthetic. A microwave-sized electric food warmer used to “sterilize” instruments. With Zaid crying, they insert the catheter in the wrong part of his body, his neck, instead of into the vessel near the heart. When dialysis began, says Ali, he lost all hope. A number of times Ali told me there was no respect in Iraq. I wasn’t sure what he meant by this, so I asked him. He looked at me with frustration and described seeing another patient, someone else’s child, lying on a cold metal hospital table. No blankets. No one watching. The child is trembling, then convulsing, then passes out. The hospital workers glance over and carry on. No hand to hold, no anesthetic to numb the pain. No rush to the emergency ward. No respect. Here in Seattle, a team from the International Rescue Committee (IRC) and the Refugee Health Promotion Project (RFPP) were preparing for the Saadawi’s arrival. 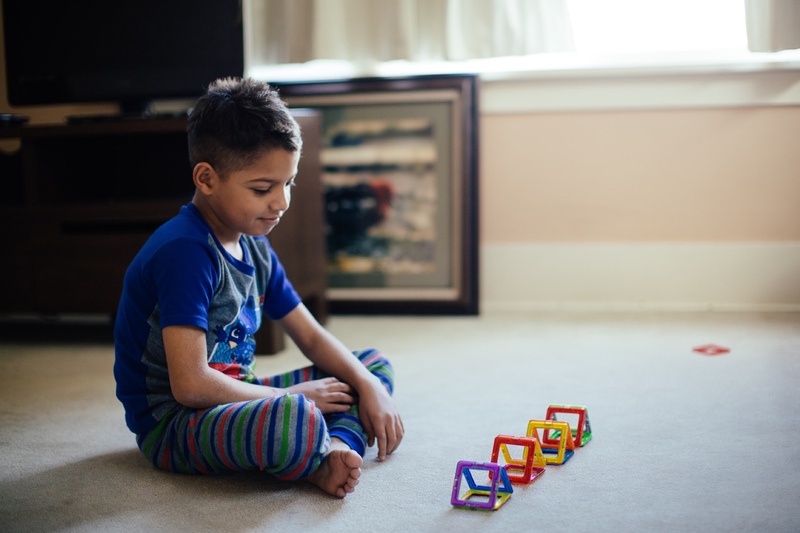 When their airplane landed in the middle of the night there was an ambulance waiting to rush Zaid directly to Seattle Children’s Hospital. The precautions were justified. Doctor Anisa Ibrahim, who would become the Saadawi’s primary care doctor, described the seriousness of Zaid’s condition on his arrival. For most of us, the blood running in our veins and in the veins of our children is completely sterile. If it’s not, and if we don’t get help, we quickly die. Zaid’s blood carried multi-drug resistant bacteria. He had an infection in the lining of his heart. He’d been getting the wrong type of dialysis and had turned a sallow green color. “When people see him,” she says, “they forget how sick he is, because he has this bright look on his face. But if that travel ban had happened before he was able to get here I have not a lot of hope that he would have survived overseas.” It was six weeks before Zaid was able to leave the hospital. 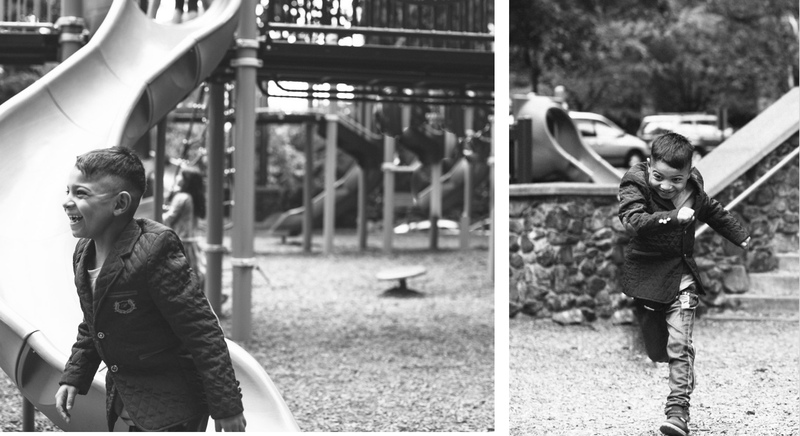 We’ve met at a playground on Capitol Hill. Zaid sits on a bench with crossed arms and a very seven year old scowl on his face. 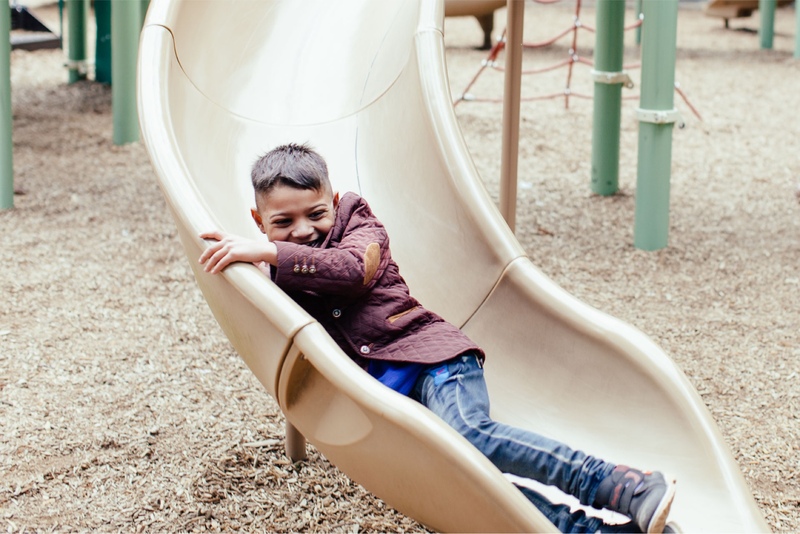 Little brother Alhassan had been knocked over as he walked in front of the swing set. 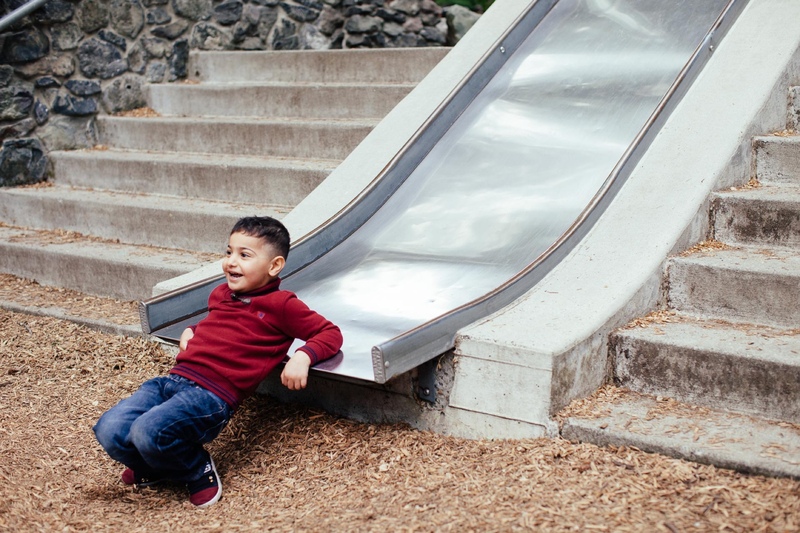 Zaid had shouted at the group of boys riding the swing, thrown some dirt, and the boys had called him a stupid baby. Kid stuff. But kid stuff hurts. 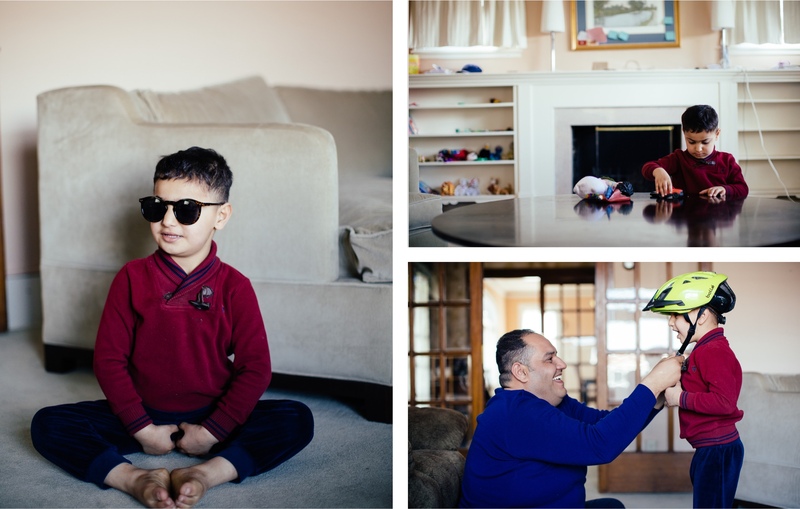 One of the boys’ fathers, down on one knee, tries to talk Zaid out of his funk. “In America”, he says, “we have a saying, ‘shake it off’… see?” And he shakes Zaid gently by the shoulder. Ali and Dhilal stand behind the bench, watching. The words are too fast, the situation confusing and they’re not sure how to respond. They smile politely. There’s a lot to get used to here. A lot to learn. Since arriving a few months ago they’ve navigated countless new systems, grown their language skills and figured out how to live in a completely new environment. For years all other concerns had been eclipsed by the singular goal of making it somewhere where the family would be safe and where Zaid could have a fighting chance. 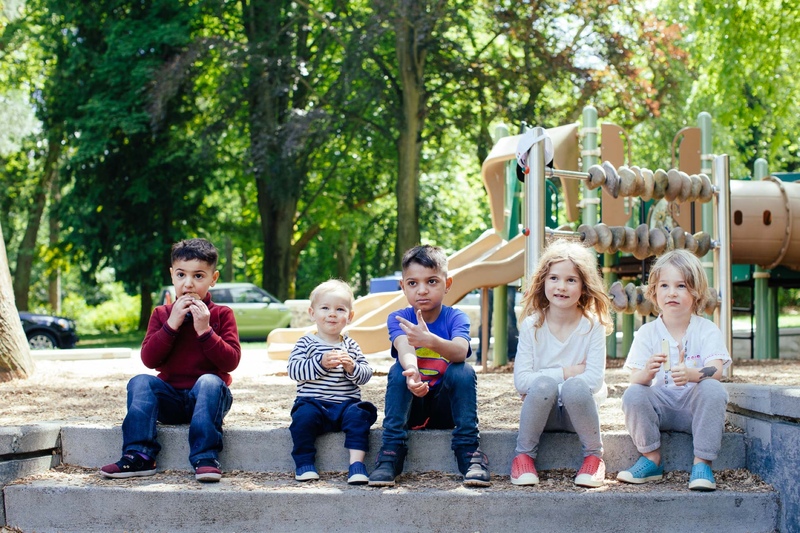 In the hierarchy of needs, awkward social interactions and overzealous playground parents sit far below the health and safety of your child. They’re here now, and Zaid’s body grows stronger every day. They’re on the list and waiting for a kidney donor. And while they wait, they’re making friends, building a community and finding home.